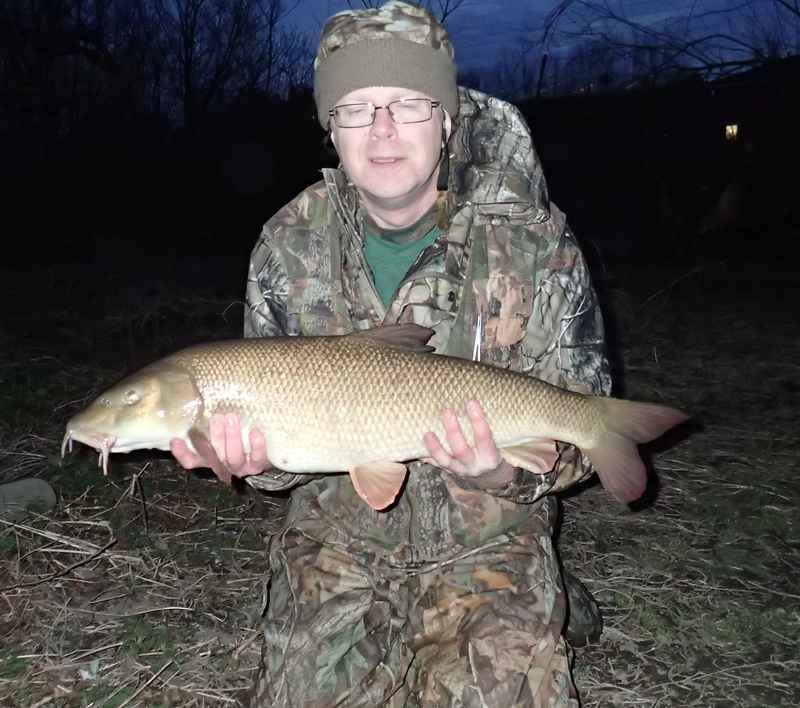 I fished a commercial carp fishery! I had been invited by Andy to take part in one of his firm’s occasional matches, and was interested to give it a go. There was a minor problem when first invited, as I was hoping that I would be at Wembley to see the Mighty Irons in the FA Cup semi-final on the day of the fishing match, but that wasn’t to be, so thanks to Andy for wangling an extra place for me at short notice. Alders Farm once held the world match weight record at over 500lbs (not sure if this is still a record), but it had a reputation for the terrible condition of its fish. It’s since been under new management, and many of the fish have been removed, leaving a more sensible –but still very large – head of carp. Due to the strict rules on the fishery (similar to rules at most fisheries of the type), I had to quickly get together a selection of tackle that I wouldn’t normally use, barbless hooks especially. It was also the first opportunity to try out my new seat box, a Maver Abyss X. It’s a small box by comparison to many others of its type, but it just about holds enough gear for my purposes, and allows for various accessories to be attached to the legs – useful when fishing on the platforms that are commonly found on match lakes. As well as for potential use on commercials, I intend to use it on the platforms on the stretch of the Thames that I fish. Baits are also restricted on the fishery, notably you can only use their own pellets. Having forgotten to buy a tin of corn, luckily Andy was able to supply me with some, and that turned out to be fortunate, as events would reveal. We arrived at the fishery and met up with the rest of the guys taking part, about ten of them in all. After dipping the nets, I popped into the fishery’s own tackle shop to stock up with pellets and also bought a couple of loaded pellet wagglers. Then it was down to the site’s café for breakfast. I didn’t bother with a fry-up as I’d eaten before leaving home, but enjoyed a mug of tea whilst the rest of the group tucked in. Then the draw took place, and I drew peg 11 out of the hat. 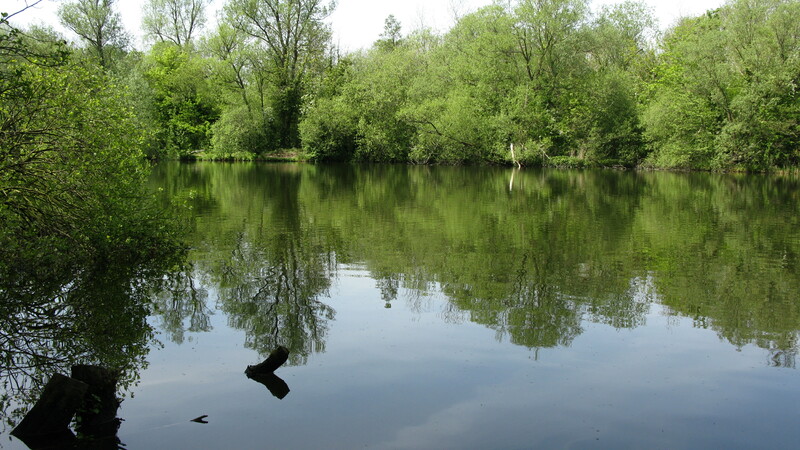 Not that that meant anything to me, as I knew nothing of the lake we were fishing (Pines Lake – one of 3 main lakes on the fishery), but I was informed that it was a good peg, as it had an island to fish to. On arriving at the lake, we were disappointed to note that some major tree and bush clearance had taken place, removing much of the marginal cover. I set my gear up, a float rod to fish the pellet waggler, and a method feeder rod. At the all-in, I started off on the float, feeding pellets regularly. But no bites were forthcoming. To my right, the angler there (Gary?) 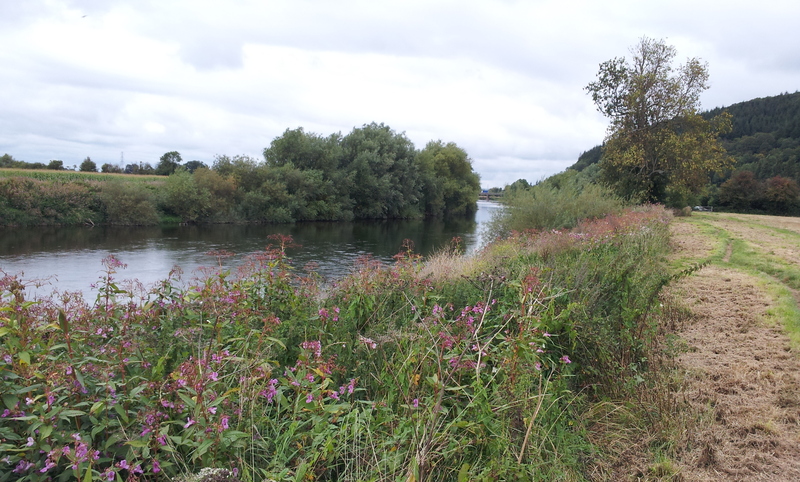 lost four carp in the first hour or so, fishing the margins with a pole, but all the other anglers I could see – both the ones fishing our match, and the match on the opposite bank – were struggling for bites. This could of course have been down to our own short-comings, but, like most anglers, we preferred to blame circumstances beyond our control, laying the responsibility on both the weather (it had been quite cold overnight) and the decimation of the vegetation. I persisted with the float for about two and a half hours, which in hindsight was far too long, before switching to the method feeder rod. Baiting up with a crab & krill 10mm boilie, I cast right up to the island. There were some indications in the form of line bites that there were fish out there, but they didn’t seem interested in my hook-bait, so after about an hour of this and several more casts, I changed bait to a piece of corn. The impact was almost immediate, as within thirty seconds the rod tip hooped round and I was into a fish. Unfortunately, I wasn’t into it for very long as the hook pulled out. My disappointment at losing the fish was only short-lived, however, as the very next cast resulted in a carp of around 4lbs residing in my landing net. I then proceeded to embarrass myself by missing the keepnet and dropping the fish straight back in the lake! So the match was about 4 hours old, and all I had to show at this stage was one lost fish and another that I couldn’t weigh in. Whether the start of activity was triggered by the change of bait, or the fact that the weather had warmed a bit, I don’t know, but it was probably a combination of the two. I persevered with the corn and method feeder for the rest of the match, and succeeded in repeating the above, with one lost fish and another landed, although this time I made sure it went into the keepnet. And that was it for the match. I knew that my one fish wasn’t in the running for the prizes, so I didn’t bother weighing in. Andy wanted to stay on for a while after the match, so I carried on for a while on the feeder, while Andy tried the swim to my right, where there was a pipe inflow that attracts the fish. I had one more bite on the feeder, resulting in another hook-pull. Andy kept getting bites but missing them! Meanwhile, I’d been feeding pellets in the margin of my swim, which eventually saw the arrival of at least two carp that began stirring up the mud. I switched to the float rod and fished a pellet where the fish were. Shortly, the float sank away and I was into what I thought was a decent carp, as it led me a merry dance around the lake. Once I got it into the net, it wasn’t as big as I thought it would be, and the reason it had given me the run-around was because it was hooked in the pectoral. Although there was another carp rooting around in the margins, I couldn’t get it to take the bait, and that was the end of the action for the day. Despite the lack of fish relative to expectations, and that I could have had more in the net but for hook-pulls, I enjoyed the day. The group of anglers we fished with were a good bunch, and I had some good banter with the guys fishing either side of me. Despite the rather cool temperatures for the time of year, I came home with a sunburnt face! If I’m invited along to another of their matches, I will know a bit more about what to expect and will – hopefully – be better prepared next time. 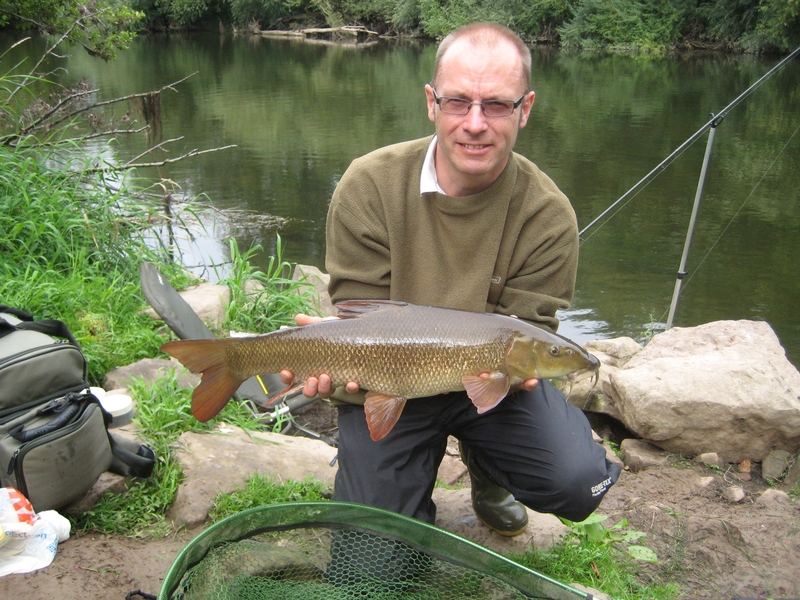 Having had a dismal summer trying – and mostly failing – to catch barbel on the Kennet, word was out that the Thames was witnessing a dace population explosion, so Andy and I decided we should take advantage of it. Out came the match float rod, closed face reel and stick floats that hadn’t seen action for a few seasons and a couple of sessions were spent trotting the stream. 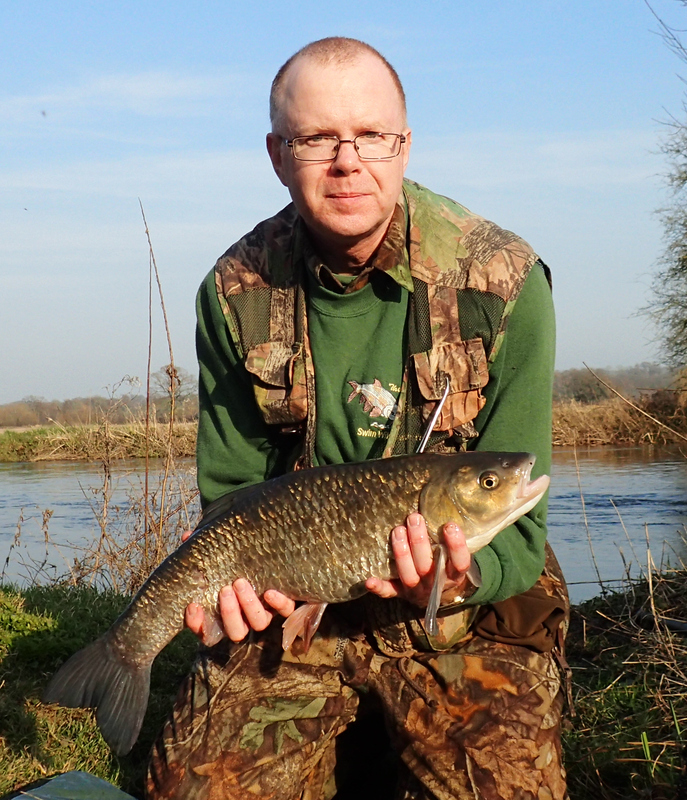 Both sessions were very productive, resulting in around 150 dace each time, plus a few roach and perch. They weren’t big by any means, but it was good fun, with virtually a bite a chuck, and made a nice change from sitting behind a pair of motionless barbel rods. 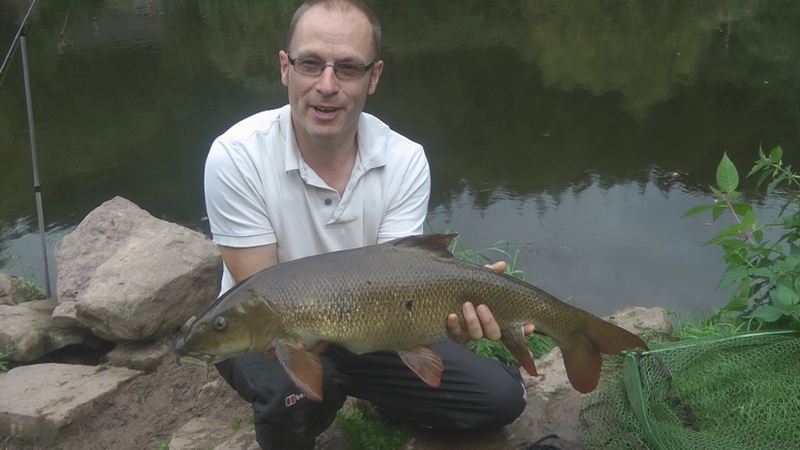 During both sessions, a number of dace were attacked by pike as I was bringing them in. So for the next few outings, I indulged in some lure fishing, catching a few jack pike, but nothing weighing above a couple of pounds. The pike that were attacking the dace were larger than this, but I couldn’t seem to find them when actually fishing for them. In October, my dad had a bad fall which put him in hospital for nearly four weeks, and he is now permanently in a bad way, which has somewhat curtailed my fishing since then. 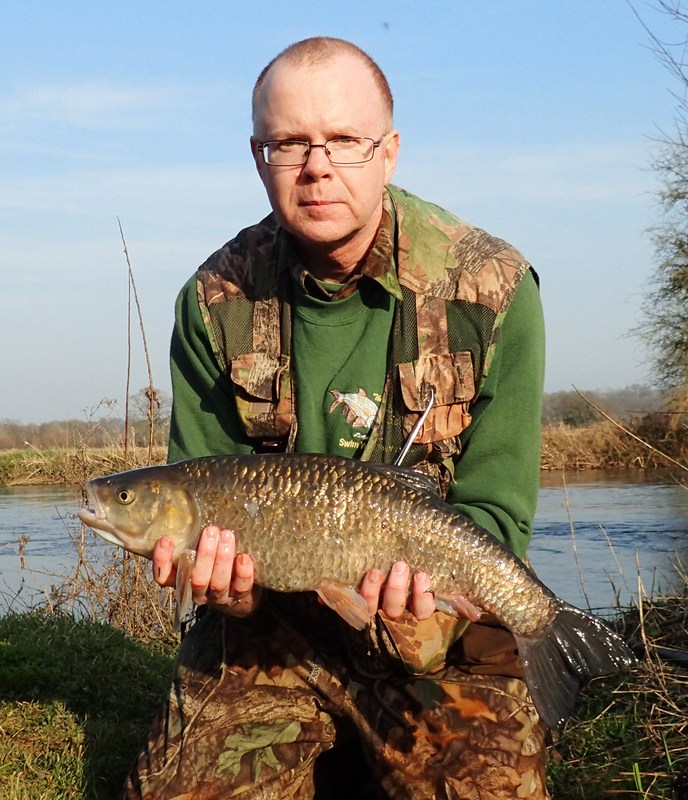 I did manage a trip in December, trotting the Thames in an attempt to locate some of the bigger roach that apparently had been showing, but the river was up, swirling and not really suited to float fishing and I blanked. That was it until March. 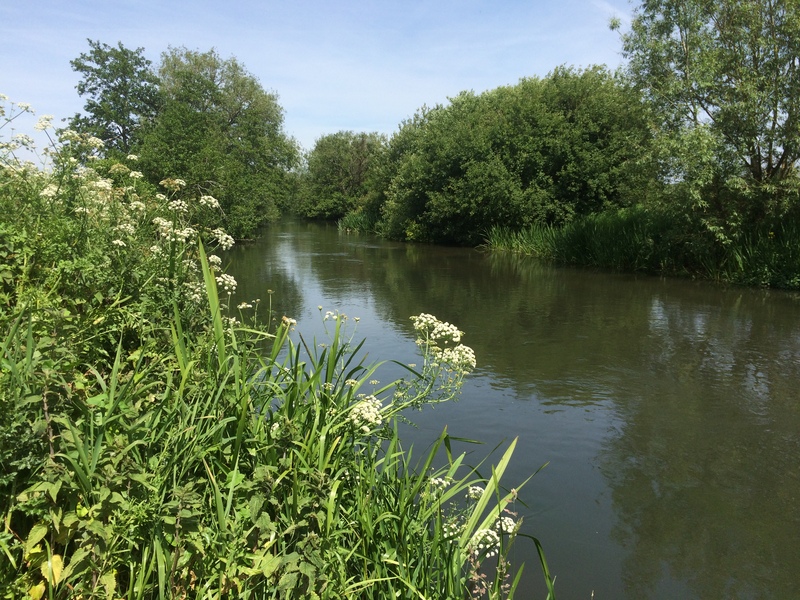 For opening day, I went back to a stretch of the Kennet I haven’t fished for many years. The day didn’t start too well, as I was half-way down the motorway, when it suddenly dawned on me that I’d left my lunch at home. Luckily, I hadn’t yet passed the service station, so was able to pop in and get a couple of large sausage rolls to keep me going. Things didn’t get much better after that, as I failed to get a bite all day. Then got back to the car to find that some bird had kindly deposited three saucer-sized poos on the driver’s side of the windscreen, which had dried on and took me several minutes to scrape off. So not a good start to the season. The 2014/15 river season was without doubt the worst season I’ve ever experienced. 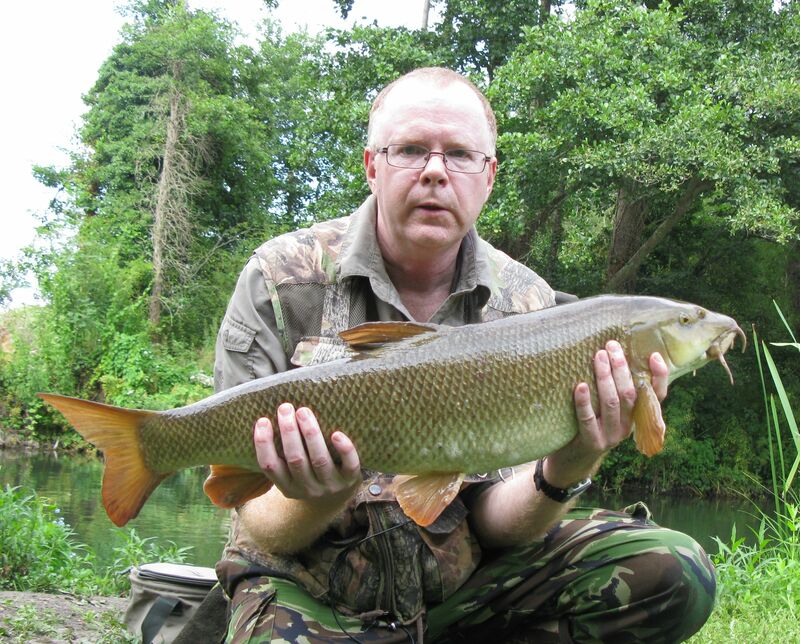 My total return for the campaign was 6 barbel and 3 chub. This was partly due to the devastation that’s been wrought on my favourite section of the Kennet, by the twin perils of otter predation and the exceptional floods of winter 2013/14 that have ripped out much of the cover that previously provided sanctuary for the fish. 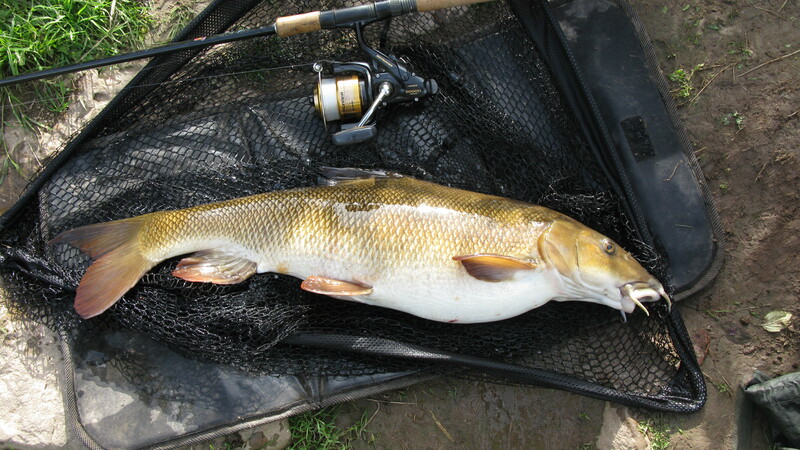 Until the last couple of years, the section was always reliable for a few barbel, mostly in the 4-7 pound range – it wouldn’t have been unusual to have taken this season’s total numbers of fish in a single session. These ones seem to have all but disappeared now. 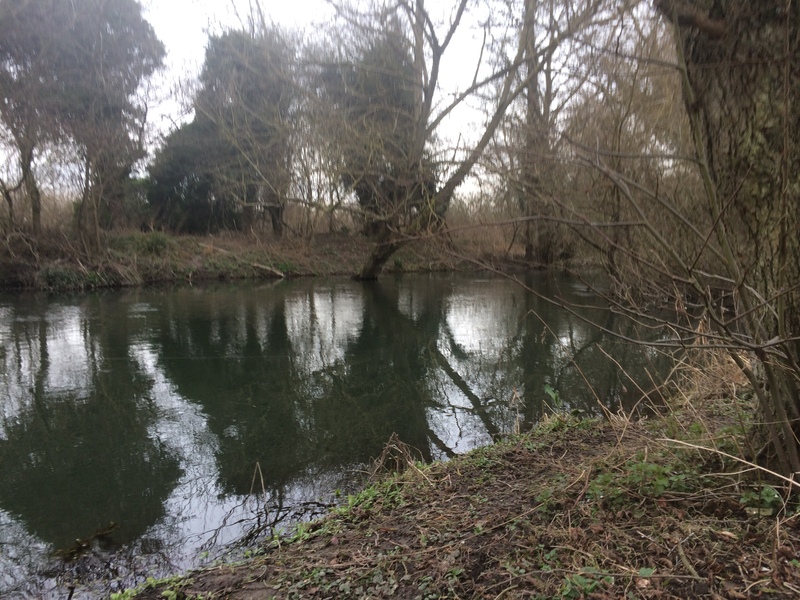 However, the upside (if it can be called that), is that what fish remain are of a high average size – it’s good for now for the specimen hunter, but does not bode well for the future, and I fear that the river may take many years to recover, if indeed it ever does. 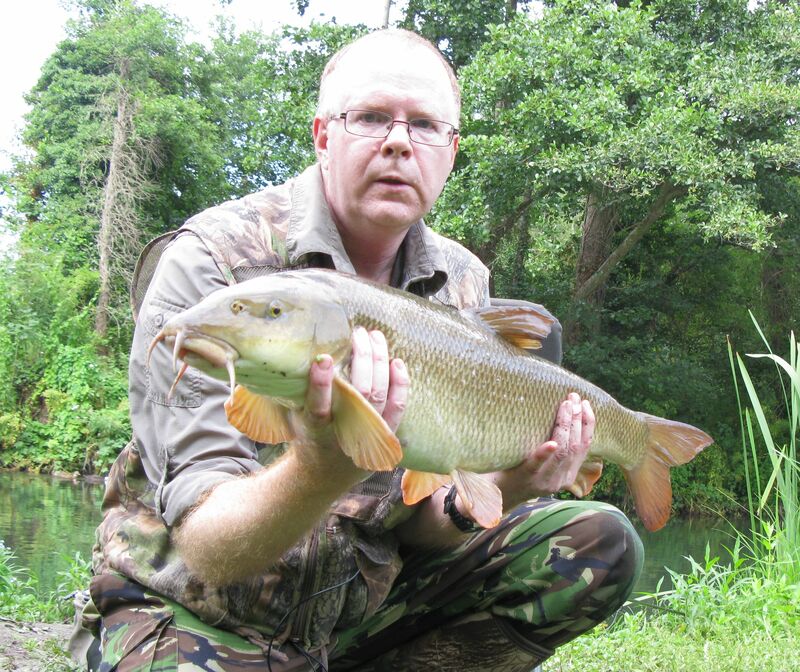 I had all but 2 of the fish by the end of July, and after that couldn’t buy a bite anywhere (Kennet, St Patrick’s Stream, Grand Union Canal), whether fishing for barbel, pike or carp. But the last outing of the season provided a welcome surprise in the form of a new P.B. 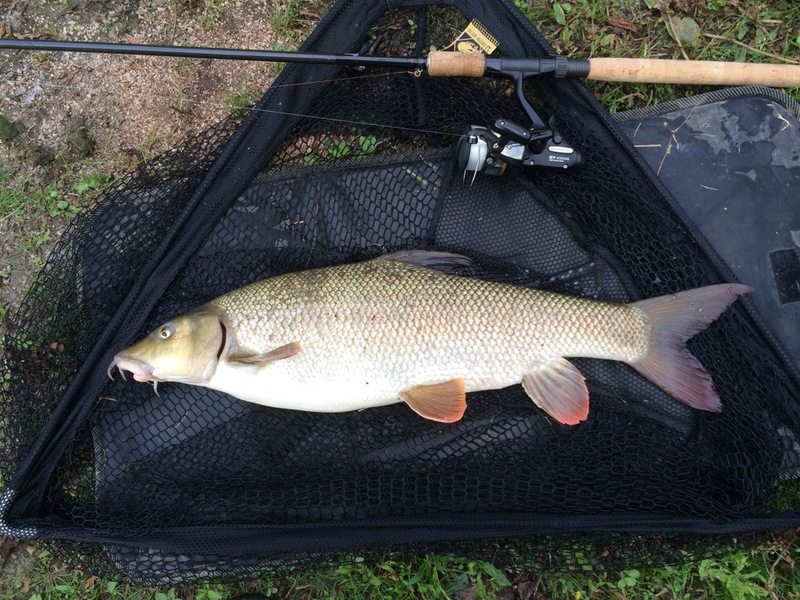 barbel from the Kennet – the second time in the season that I’d achieved that mark. I arrived at the river around 3 in the afternoon, to find the bankside quite busy, and all the swims I’d mentally earmarked to try were already occupied. 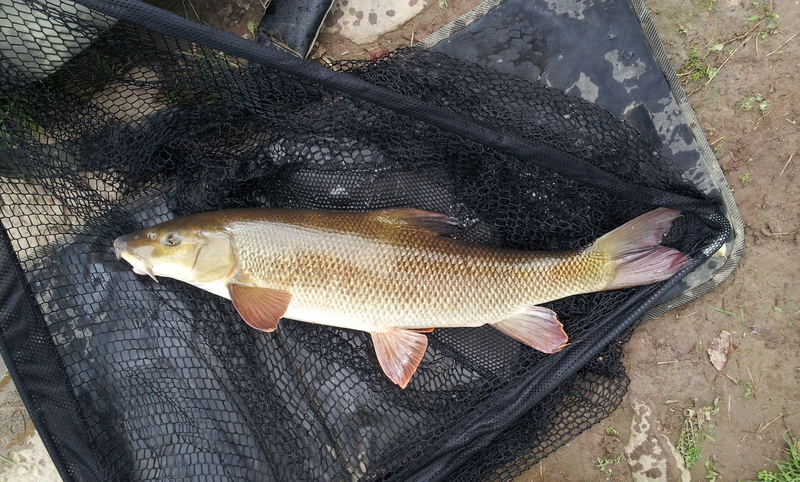 I decided to have a try in a swim that had unknown provenance (to me anyway), and set up 2 rods. One with a boilie fished tight to a near bank overhanging tree, and the other with a pellet feeder rig fished about 3/4 of the way over into the main flow. All was quiet until dusk was falling, when without warning, the boilie rod hooped round. Striking into the fish, I was immediately embroiled in a battle to prevent a powerful adversary from seeking its freedom under the overhanging tree. I thought I might have lost the battle when I felt the line rubbing on an underwater branch, and briefly all went solid. However, I gradually ramped up the pressure, the fish suddenly came free and I was able to get it into open water. The rest of the fight was pretty straightforward and soon the fish was in the net. It was obvious that it was going to beat my previous Kennet best, but by how much. I wondered if it might tip the 12 lb mark, but the scales settled at 11-11, a full 3/4 of a pound heavier than my previous Kennet best, set just a few months earlier. The fish was in fin perfect condition. After the fish was safely returned and the baits re-cast, all was quiet again until around 9 o’clock, when I had a take on the pellet rod. A lively fight ensued, during which the fish made several strong runs that took line off the clutch, before I could slip the net under a fine seven-pounder. That proved to be the final action of the day. So the last trip of the season was a good way to see it off, and at least provided some relief to an otherwise very disappointing term. 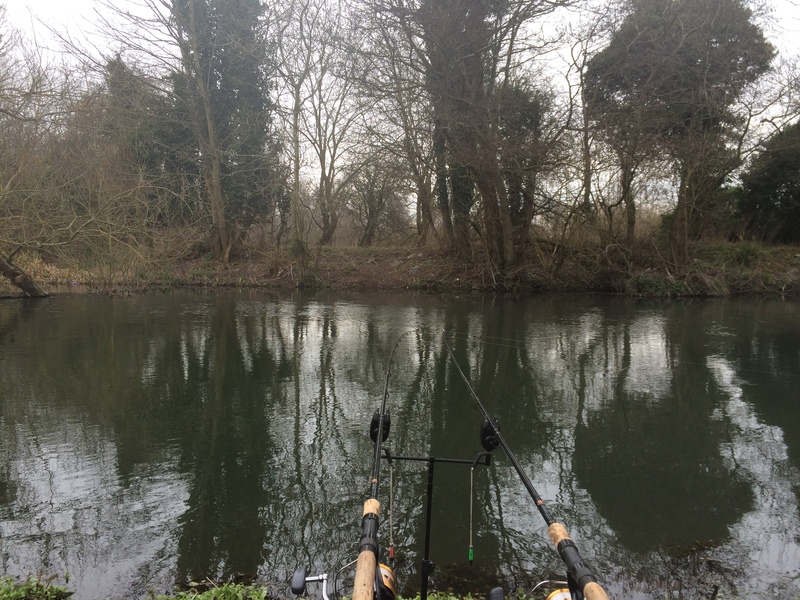 3 months to wait now until next season gets under way, and I’ll have to give some thought as to where I’ll be fishing, as the lack of bites on my previously reliable waters means I may have to look elsewhere. In the meantime, when the weather warms up, hopefully I’ll be out after some canal carp, and possibly a tench or two. 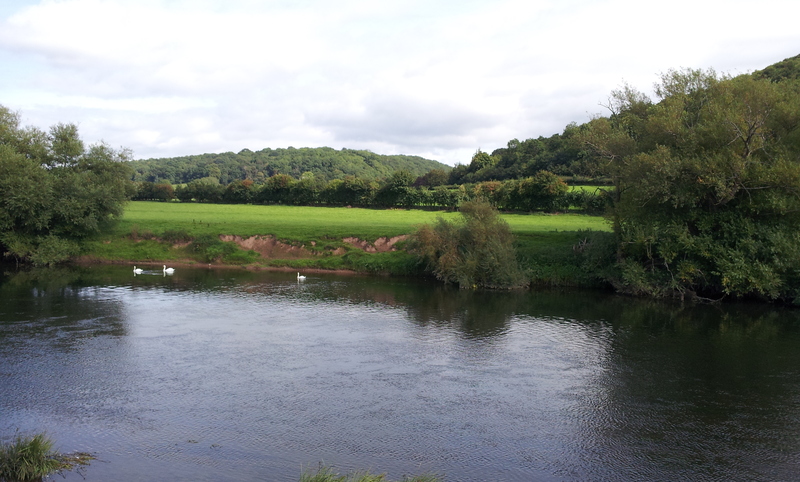 The river season largely fizzled out, with only 2 trips to the banks after the September Wye holiday. The persistent floods put paid to a lot of the fishing. Andy & I had a couple of days on the middle Severn in March, which were somewhat unproductive, with only a couple of barbel and a jack pike to show for our efforts. 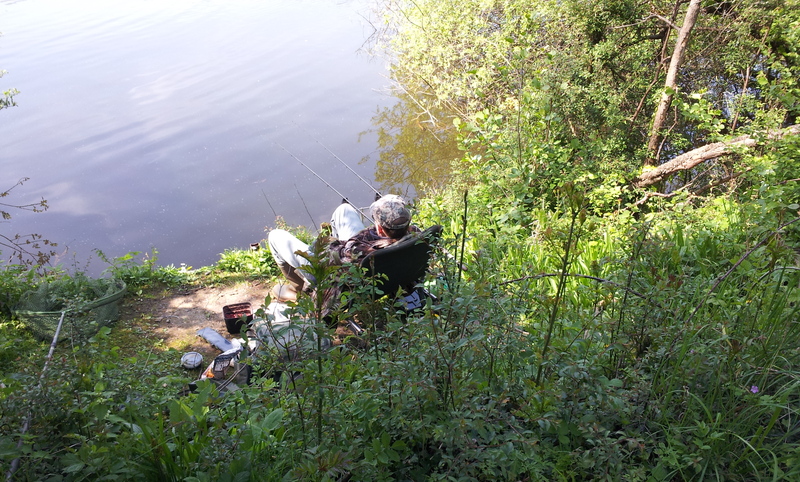 There were also a couple of trips attempting to lure a pike or perch from the canal. Apart from one very small pike (and I mean small! ), this was a fruitless endeavour. So, come the spring, and time to set sights on some carp and maybe some tincas. Off to the canal we went, and bloomin’ chilly it was too, with the spring sun yet to make its mark on the countryside. It seemed the fish were waiting for some warmth to bring them to life as Andy managed one carp, but I blanked. Next on the agenda was an effort to catch a tench. We studied our club cards for a suitable venue and chose one, only to discover it was shut on the day we intended to fish due to a working party. So more research was done, and a second venue was chosen. 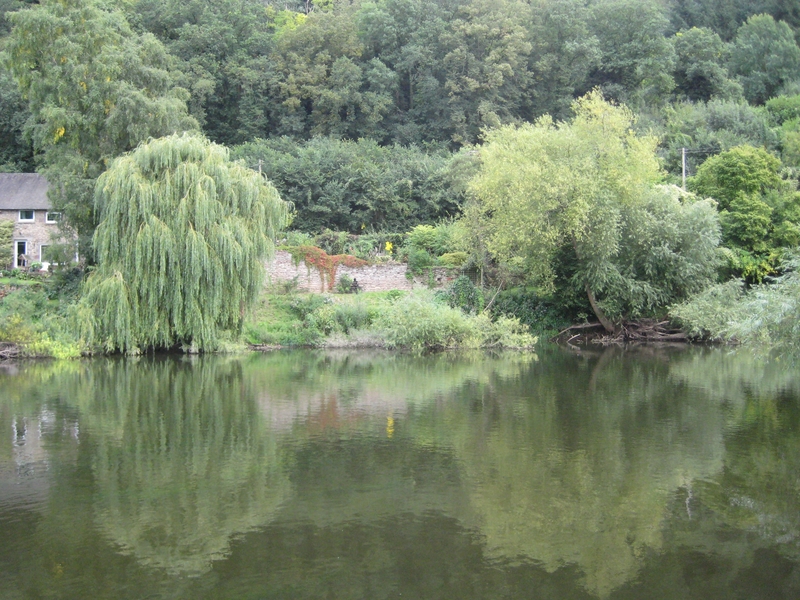 There were two lakes on the site, but as one had a river running through it, it was shut for the close season. Typically, it looked the better of the two lakes, but the other one certainly looked good. Unfortunately the fish refused to come out to play, and our efforts came to nought. Andy rests his eyes while waiting for the bite alarms to play a happy tune. 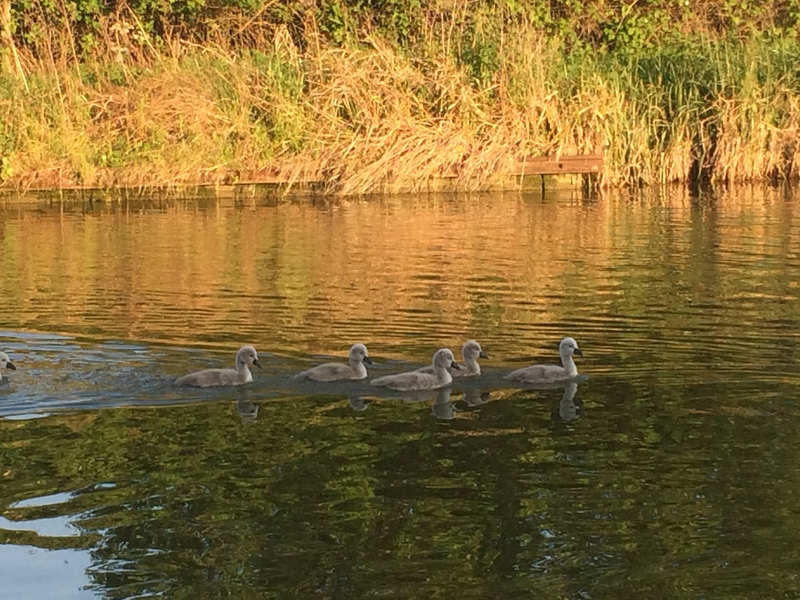 Next up was a return to the canal in search of the elusive cyprio. The weather was at last showing some spring warmth, with temperatures moving into the low 20’s. Some warm sun on their backs seemed to improve the carps’ appetites, as at last I got some bites. I was keeping an ear on the commentary from the FA Cup Final (why does that have to kick-off at 5 o’clock? What was wrong with a 3 o’clock start?) Somewhere in between Hull’s second goal and Arse’s first, my swim sparked into action, and the bites came faster than those early goals at Wembley. First off, a common of 7lbs. Almost as soon as I’d returned the fish and put the rod out again, it was off, but somehow I failed to connect. Out went the bait again, and within a minute the alarm was bleeping furiously as a small common of about 3lbs tore off. As with the football, the action slowed a bit after the hectic start. It was another 45 minutes before the next bite, yet another common, this one going around 6lbs and a further 30 minutes before a 5lb-er came to the net. All these bites had come to one rod, using a “Crave” boilie and pop-up, which stinks but the carp seem to like it. It went quiet for a fair while then, and it wasn’t until the sun had nearly dropped over the horizon, before the next action. This time, it was the other rod that produced. This fish must have a sweet tooth, as it chose a white chocolate and coconut concoction. Finally, just as it got fully dark, the “Crave” rod took off again, but this time, after having played the fish for a couple of minutes, the hook pulled, much to my frustration, although I don’t think it was a particularly big fish. So at last, the spring fishing has produced a few fish. Not big ones, but some excitement anyway.